For those who require portability, this is the cable reel of choice. This reel comes standard on our Private Eye II (PE2) system and The CUBE, and is a perfect pairing for small trailer mounts. 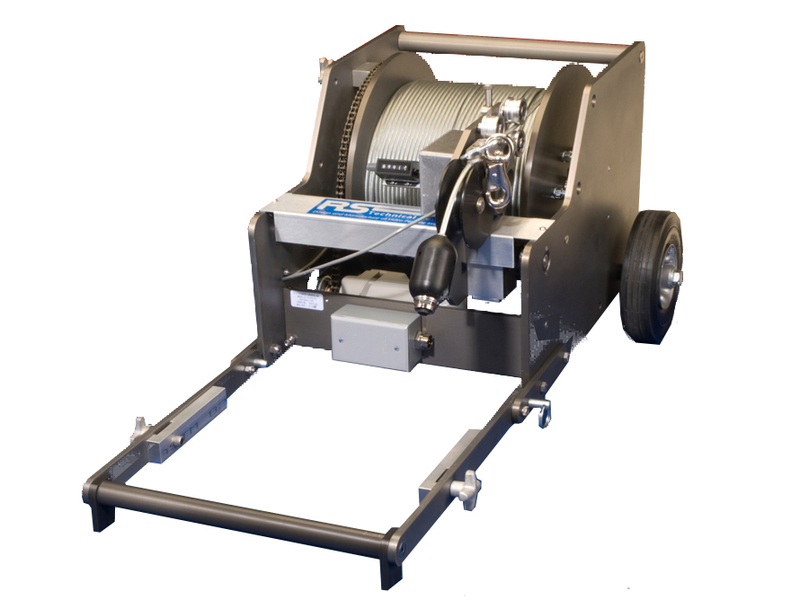 A small maneuverable portable reel with up to 1,500-foot cable capacity designed for use in restricted access areas, this reel operates from either a portable generator or Shore power cord. It offers maximum tractor footage by free-wheeling during cable pay-out, while the ½ horsepower motor provides quick, effortless retrieval of the camera system. Ideal for mainline pipe inspections when large vehicle mounted systems are not required. Compatible with Armored SinCon and Arimid SinCon cables.